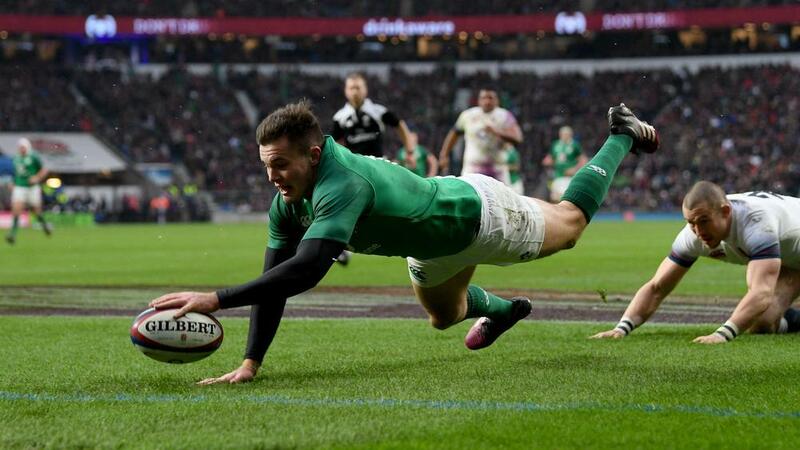 Jacob Stockdale became the first player to score seven tries in a Six Nations campaign as Ireland closed in on a Grand Slam at Twickenham. The Ulster man crossed in first-half stoppage time against England on Saturday, ensuring Ireland - chasing a fifth win out of five - took a commanding 21-5 lead into the break. That try was a record seventh for Stockdale, who had scored six times in his previous three matches. Stockdale scored braces against Italy, Wales and Scotland and had the chance to target a fourth double in a row in the second half against England.